This is the view from the Templete Semisubteraneo looking through the arch to the Kalasasaya, with the Stela Ponce standing as though about to walk through the doorway. The largest of the three stelae in the centre of the court features a legendary bearded character known as Viracocha. 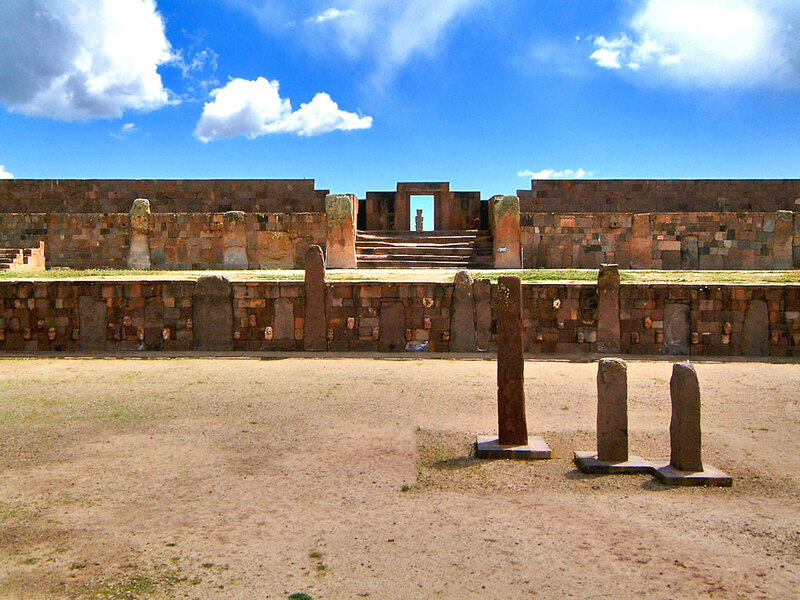 A fourth stelae also once stood in this courtyard; known as the Pachamama or Bennett Monolith, it is now housed in the museum.